JUNE 27, 2013 (NASHVILLE, TN) – Jason Crabb is the special guest on an all-new edition of the nationally syndicated radio show “Worship With Andy Chrisman” set to air on the weekends of June 28-30 and July 5-7, 2013. The Grammy® award winner sits down with Andy Chrisman to share the heart behind music from his newest release, Love Is Stronger. Love Is Stronger, the latest release from Jason Crabb, arrived onto the musical landscape with critical acclaim. Produced by musical heavyweights – Ed Cash (Chris Tomlin,) Jay DeMarcus (Rascal Flatts) and Wayne Haun (Celine Dion) – the 11-track project features Jason at his very best and garnered attention from Entertainment Tonight, The Associated Press, FOX News, AOL Music, The Boot, CCM Magazine, New Release Tuesday and more. Jason is currently on the summer leg of his “Love Is Stronger” tour. For more information on Jason Crabb, visit www.JasonCrabb.com and connect with Jason atwww.facebook.com/JasonCrabbMusic and Twitter @JasonCrabbMusic. 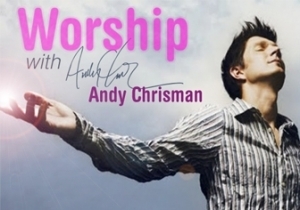 www.andychrisman.net/about/worship-with-andy-chrisman to find out where to hear the show in your area.